For more information about Maine Envirothon, please scroll down or visit www.maineenvirothon.org. To find out how your school can participate, call Rebecca Jacobs at (207) 596-2040 or email rebecca@knox-lincoln.org. Register your Envirothon team or your class by Mar 15 for only $5! FMI: Dale Finseth at dale@kcswcd.org or 207-622-7847 x3. What does a team consist of? Teams consist of three to five students (plus an alternate) in grades 9-12 from public, private, or home schools in the same district. Each team must have an adult advisor(s). Advisors may be teachers, parents, or members of the community. Assist teams in preparing for competitions. Make arrangements regarding registration, transportation, and when/where/how frequently team members meet. Help students determine the best way to study for competitions. Who may be an advisor? Teachers, parents, and/or community members. It is not necessary that you be an environmental expert. Interested, but need more information? Contact Rebecca Jacobs at (207) 596 2040 for more information and an opportunity to attend a hands-on training session. What are the benefits of competing? 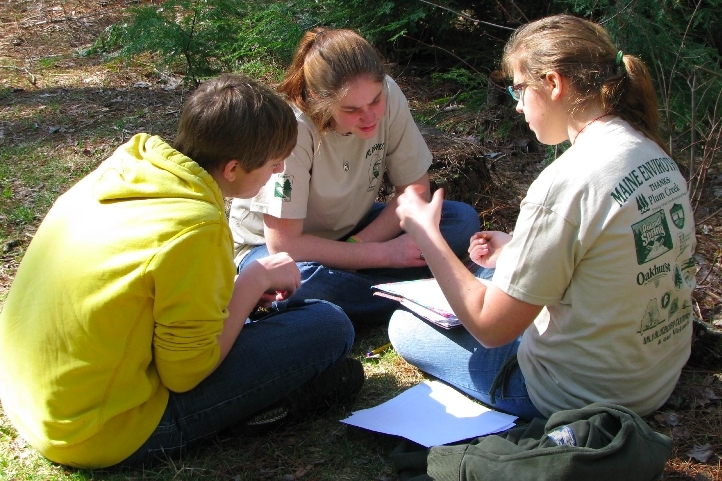 Envirothon is an academic program that is aligned with the Maine Learning Results. The program raises students’ awareness of local and national environmental issues. Students build critical thinking and decision-making skills as they solve real environmental problems. Students meet and learn from state soil scientists, biologists, and foresters. Maine participants are eligible for scholarships from the University of Maine, Orono. Winners of National Envirothon receive college scholarships valued at over $1000. Check back in fall for registration information. Once your team is registered, we will send you additional information and a resource packet to guide preparation for the Regional Envirothon. You will be notified about workshops and/or hands-on training sessions for your team. Please register as soon as possible to ensure that you receive resource information with plenty of time to study and practice. *Travel scholarships may be available to help offset expenses for teams needing some assistance. Please contact State Coordinator, Josh Platt for details at 667-7847 X 3 or josh@kcswcd.org. Rebecca Jacobs, KLSWCD Education Coordinator at (207) 596-2040, rebecca@knox-lincoln.org.